We’ve written on this subject before, but now that we’re a month out from Halloween we figured it would be a good idea to revisit it. As you local plumber, we consider it a public service to help you take care of your drains and your sewer system. If we didn’t revisit this topic, there’s no doubt that some of you would have to call an emergency plumber. So, what is this foul destroyer of pipes and garbage disposals that only arises when the moon looms high over the misty graveyard? That’s right, pumpkins. That staple of Halloween and Thanksgiving that seems so innocent but can wreak havoc on both your sinks and garbage disposals. Let’s take a look at this fall fiend. You cut open the top of your pumpkin to make a jack-o-lantern. You reach in and, if you’re like most people, kind of enjoy / are kind of grossed out by the slimy gooeyness of the pumpkin innards. So you pull them out and drop them onto the newspapers you’ve laid down to protect your table. They’re all so slick and drippy; they’re sure to just slide right down the sink, especially if you remove the seeds first, right? Wrong! When they harden, pumpkin guts are some of the strongest naturals adhesives you’ll ever find in your kitchen. You’ll find that any part of the table not covered during the jack-o-lantern carving will have a hard-to-remove coating the next morning. Plates, knives, and anything else you used will be covered in hard pumpkin guts. It’s nature’s glue, and if you put a measurable amount down your sink it’s going to harden in the pipes and you’re going to have to call an emergency plumber before you know it. 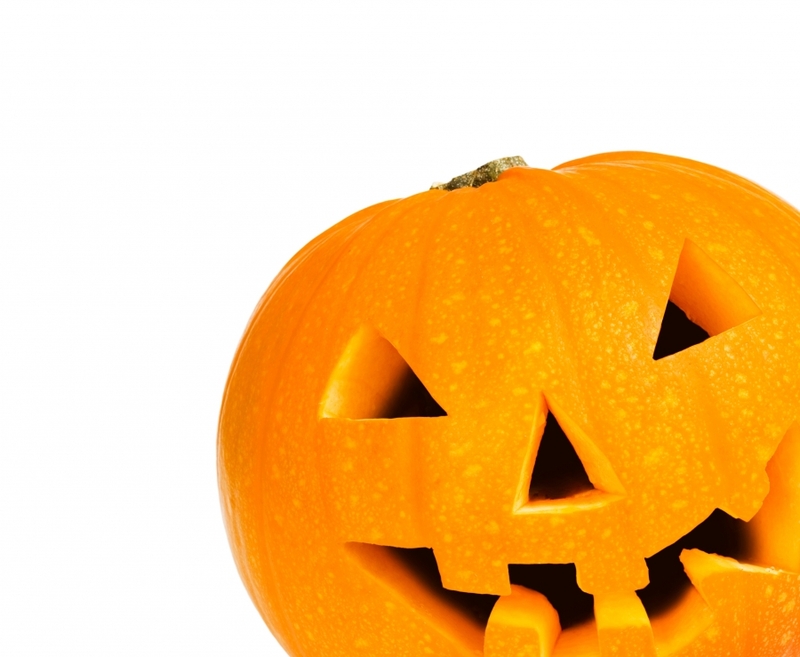 When the pumpkin parts harden in your sink, you’ll probably need drain cleaning. But when they harden in the garbage disposal, you might just need a new one. Not only do you now have this natural glue in your disposal, but the stringy nature of the pumpkin guts also wraps around your disposal blades and can damage them. Think about it: when you’re pulling those guts out of the pumpkin it can be impossible to grab hold and pull them from the pumpkin wall, and once they’re out those strands are incredibly difficult to break. The same thing is happening in your disposal. Seeds also become a problem for garbage disposals. While you might enjoy cooked seeds, try one straight out of the pumpkin and you’ll quickly realize that they’re too tough to chew. Your garbage disposal will have the same problem. So What Are You Supposed to Do With All The Innards? Here’s the good thing: everything you take out of a pumpkin is usable. The most obvious use is to cook the pumpkin seeds. They’re easy to make, tasty, and filled with vitamins and minerals. While many people will simply compost the rest of the guts, it’s much cooler to eat them, cook with them, and make them into soap and other useful household items. Here are 28 great uses for those pumpkin guts. Pumpkins are great fun during Halloween and incredibly tasty around Thanksgiving. Just make sure you’re using the pumpkin to its full potential and not sending anything down the drain. If you do, you’ll be calling your local plumber to bring the sewer snake. Avoid that and you can have a great fall! The Stuff You Sent Down The Drain Five Years Ago Might Still Be There...So Call The Right Sewer Service! The Two Most Famous Plumbers of All Time Don’t Really Exist Leaky Faucets: Why You Need to Fix Them Today!